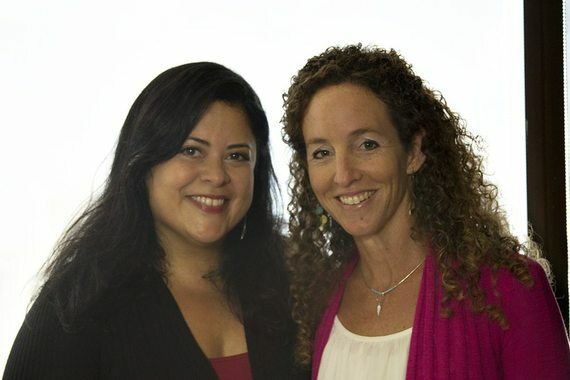 Maya Soetoro-Ng and Kerrie Urosevich present their ideas about building a more peaceful world at TEDxMaui on September 28 at the Maui Arts and Cultural Center and it's not work for wimps. TED is not about selling products or programs, it's about ideas. To understand this particular talk, a little background on the Ceeds of Peace program and its founders may help. "Peace building is hard," Urosevish explains. "Maya and I are trying to re-brand peace as something that's rigorous, it's skills based, it isn't just about strumming ukulele underneath the rainbow. There's room for that, but it's really really hard work." The duo is a formidable force with a big skill-set that they bring to the table. Both are Ph.D.'s with extensive teaching experience. Soetoro-Ng is Director of Community Outreach and Global Learning at the Matsunaga Institute for Peace and Conflict Resolution at UH Manoa. Urosevich is Action Strategy Coordinator for the Executive Office on Early Learning, under the auspices of the Office of the Governor. Their interests converged in the desire to make a real difference in a world that sorely needs more peace, and the realization that achieving that goal will take focus and drive, and will have to start early in life. "I've been teaching social studies for many years," Soetoro-Ng relates. "I started in New York City on the Lower East Side of Manhattan. In every instance and environment, I worked very hard to bring in history from multiple sources, as a vehicle to explore humanity and identity. I try to encourage civic engagement, ways to build empathy, writing about many in history who were ignored or in the shadows. I didn't call it peace education until I was given an opportunity here to teach it as an elective." Soetoro-Ng taught in public, private, and charter high schools in New York, and then in Hawai'i, eventually arriving at the UH Manoa Lab School, where she taught while doing her doctoral work. She served as faculty in the College of Education before moving over to the Matsunaga Institute. "By the time I get kids in high school, there are certain habits of mind that are already firmly entrenched," Soetoro-Ng observes. So I want to have these concepts instilled at an earlier age. I came across my partner, Kerrie Urosevich, and she was teaching peace education at the Matsunaga Peace Institute, and the difference was she was part of Family Hui, and was on the governor's team for early childhood ed. I was always talking about war and genocide, and things that were not appropriate for Elementary school, and the two of us formed a stream from childhood to, well, infinity and beyond." "I'm on the board of the Association for Conflict Resolution's Hawaii chapter," Urosevich recalls, "and we put on workshops on peace building and conflict resolution, predominantly for adults and about adult issues. After a couple of years, they asked me to do a workshop focusing on children and how they could develop peace building skills. So I put together a panel, and Maya was on the panel." Both educators, both actively teaching peace, the two realized they had a common passion, but also complementary skills. They began to dream and plan. "We looked at the major issues in Hawaii around indigenous rights and human trafficking," Urosevich says. "And the way we get to solutions is through peace building and conflict resolution. But people don't often connect those solutions as peace building, so we're trying to close that gap. And realize that if we don't raise generations of peace builders, these problems that we're facing will just get worse. If we aren't raising generations that can problem solve." "We wanted to create workshop opportunities for schools, families, and communities to work together," Soetoro-Ng explains. "We see peace as hard work, challenging and rigorous. We started thinking about how we could weave everything into the curriculum, connect it to the standards." By standards, Soetoro-Ng means the infamous Common Core. People love it and hate it, but bottom-line, it is inescapable right now in primary and secondary education. Everything that happens in schools must contribute to students' understanding of Common Core objectives. "We spent that whole year aligning Ceeds of Peace with the Common Core and the general learning outcomes," Urosevich relates. "And we did our first series of workshops last year. We included anyone who works with children: teachers and administrators, and counselors-- and anybody in the community who works with children, so coaches, and after school care providers." As to the name, it is not an acronym, but it does revolve around first letters. "What we noticed was a lot of the qualities that peace builder possessed start with a "c." A peace builder has to look at multiple habits of mind at once," Soetoro-Ng explains. "We looked at calm reactions, community, moral courage, critical thinking, and so forth and so on. We thought it wasn't enough to have one of these, you had to develop them in tandem." In addition to the "c" words, their methodology involves a philosophical approach emphasizing nurturance, and an expansive vision for the children, the program, and the world. "The metaphor is of nurturing children, planting something that will grow in them, but we definitely don't want to be mistaken for a peace gardening program," Soetoro-Ng laughs. Their program is not at all simplistic. Peace requires ways of thinking, it requires change to the fabric of societies. To change society, children must grow up in an environment of peace. New behavioral options must be learned and practiced to be transmitted across generations. "When you have your own kids, you watch them go from context to context, family to school to community activities," Urosevich says. "And you hope they are being supported positively, but when it doesn't happen in one of those contexts, their moral compass is really thrown off." "Our workshops are about building a 360 approach around children, connecting family, community, and schools," Soetoro-Ng explains, "and making sure it's integrated in a multidisciplinary fashion with connection to the standards so that teachers have an easy time implementing it." Properly trained teachers are crucial to maintaining peace in the school environment. Despite being the Aloha State, Hawai'i schools are frighteningly prone to violence, including rampant bullying. "When teachers don't know how to deal with bullying, it's because they don't have a skill-set to do it," says Soetoro-Ng. "It's like parenting. We assume it's a natural process, but really, it's a sharp learning curve, and you really need skills to do it well. You have to practice." The duo are currently working tirelessly to sow their Ceeds across multiple domains, as quickly and practically as they can. They now offer a series of workshops as often as they can manage, and they are training new facilitators for the events. They are also working to create a community of peace practitioners. "We work each year with 100 to 120 people," Urosevich explains, "and we need to keep those people connected so they're learning from each other and support each other. And I think that's where we'll see more power in this work."